Fall craft ideas are a dime a dozen on Pinterest, but an awful lot of them are projects for kids. And, well, they look like projects that kids did. In case you'd like something a little classier in your home this season, here are some ideas more grown-up than turkey pinecones! The bloggers at Spark and Chemistry put together these gorgeous autumn leaf covered candle-holders using faux leaves and jars from the dollar store. 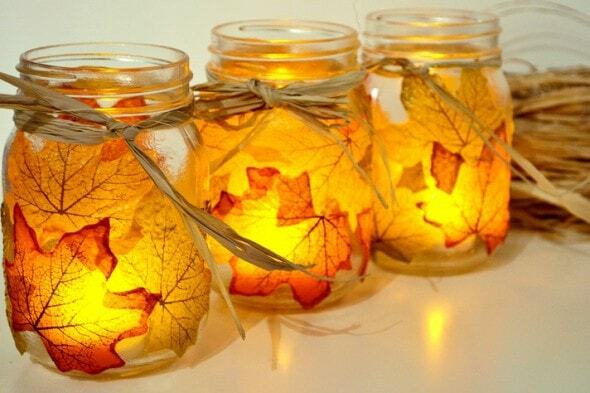 Mod-podge the leaves onto the jars, let ’em dry, and you’ve got a beautiful fall-themed centerpiece for your table. The leaves go on the outside of the jar, so there are no worries about them catching fire. But if you’re still nervous, you can always use a battery-powered votive. Find the complete instructions here. Here’s something easy enough for kids, but beautiful enough to hang on your wall! Use your fingers (or your kids’ fingers!) and acrylic paint to add fall leaves to a bare tree. 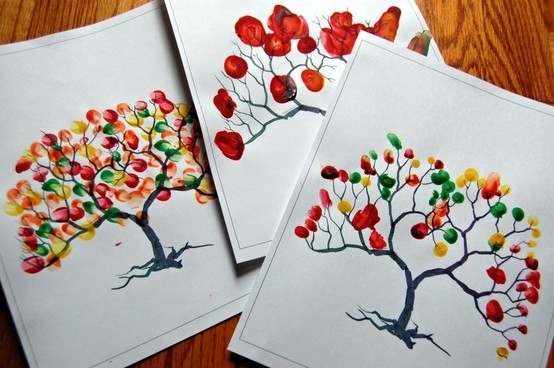 You can draw your own tree, or if you’re not artistic, here’s a beautiful printable tree. 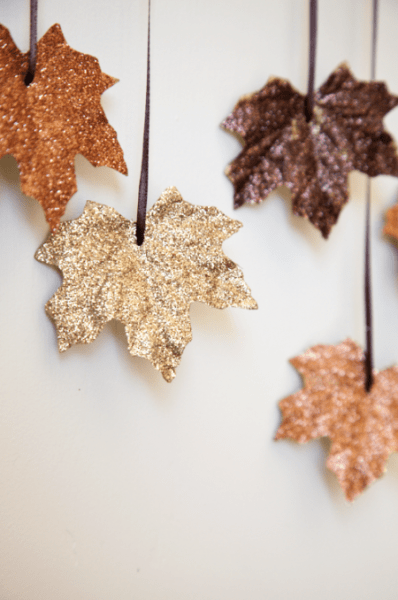 This sparkly leaf garland is a classy way to decorate your home for the fall season. It’s fun, it’s seasonal, but the sparkles give it just a bit of a grown-up feel. You can use artificial leaves for this project, but real leaves would also work as long as they’re not too brittle for hole-punching. Find full instructions here. 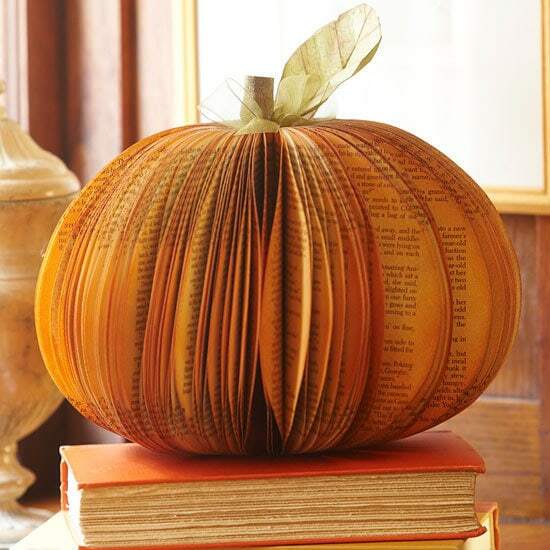 Find an old book no one will ever want to read again (check your thrift store if you can’t give up any of your own books), and turn it into this lovely book pumpkin. 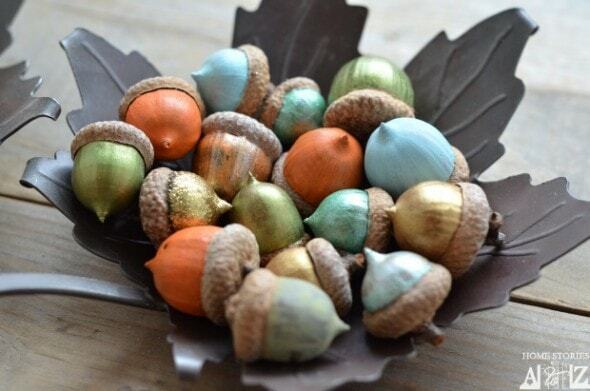 If you’re lucky enough to live in an area with acorns, gather some up and make a bowl of these beautiful painted acorns. And if you don’t have acorns, no worries! You can buy the faux variety right on Amazon. Find full instructions here. Faux leaves not your thing? Dip the real variety into wax, let them dry, and hang them up for a beautiful, natural decoration. 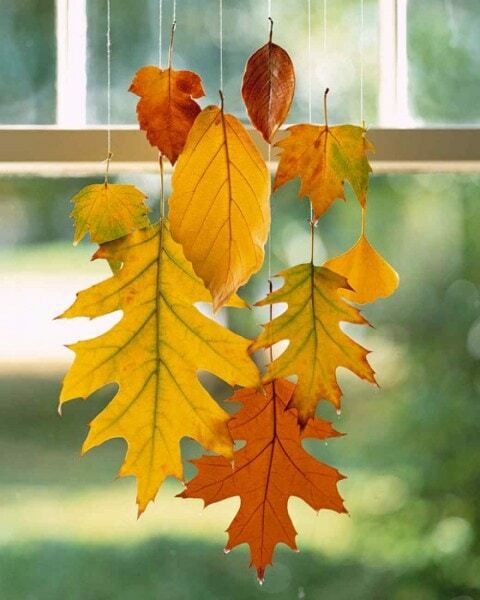 Wax-dipped leaves make excellent window decorations. 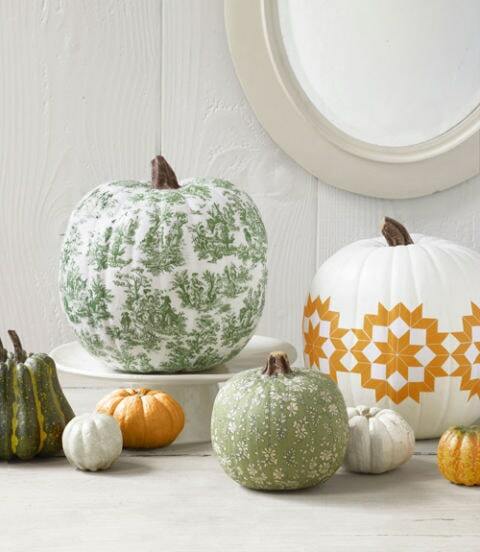 How beautiful are these decoupage pumpkins?? 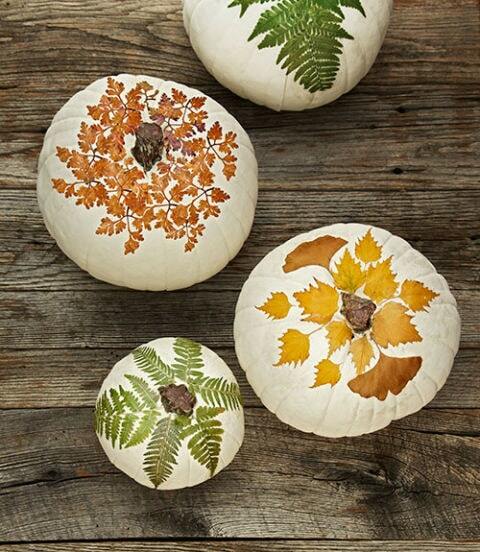 Find directions for decoupaging pumpkins, plus so many more elegant pumpkin ideas here. 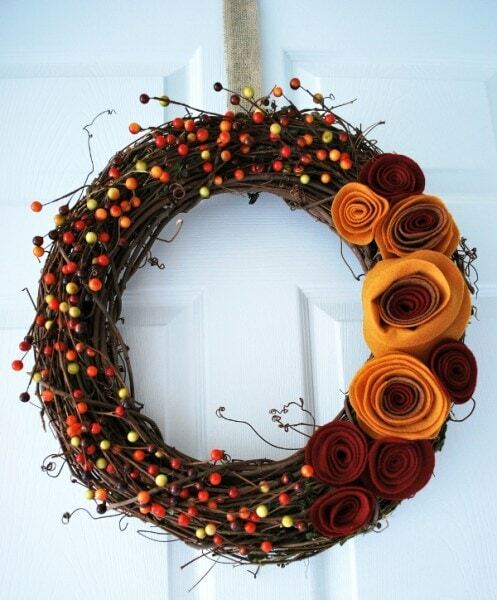 Believe it or not, this autumn wreath with felt flowers can be made for less than $10! Pinecones are a great transitional decoration. Their brown color is perfect for autumn, but they can also work for the December holiday season. 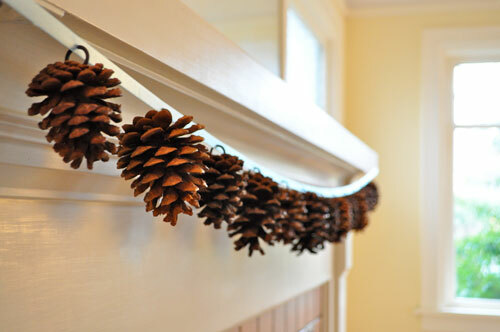 This pine cone garland can stay up through winter! Buy some inexpensive bulk cinnamon sticks to keep this project affordable. 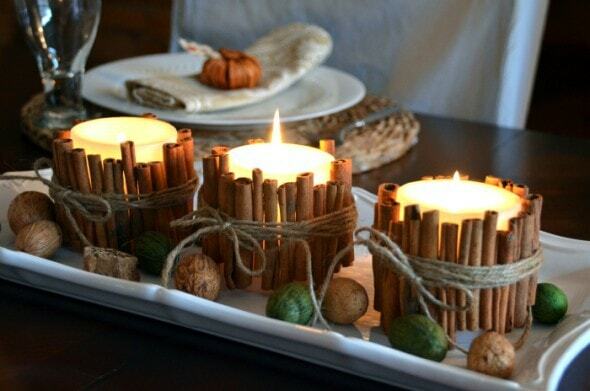 And to get more mileage out of your cinnamon stick candle once fall is over, just switch out the acorns for holly sprigs or other December-y decor. Hopefully you’re feeling inspired to bring some classy autumn beauty into your home with these fall crafts. Give one or two of them a try this season!